Chairs and tables are not included. 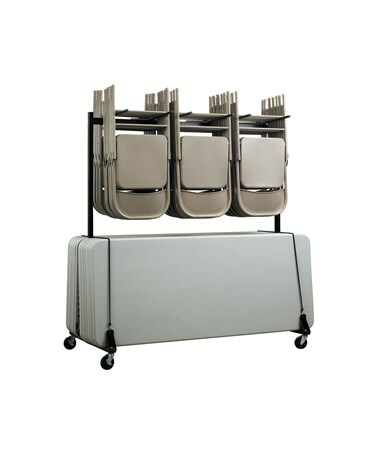 The AdirOffice Chair & Table Combo Cart is a versatile solution for moving and storing your folding chairs and tables. 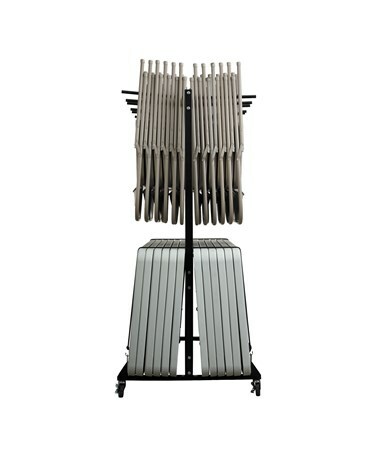 With its steel crossbars and vertical bars, it can carry up to 42 folding chairs and up to 12 folding tables with its steel crossbars and vertical bars. 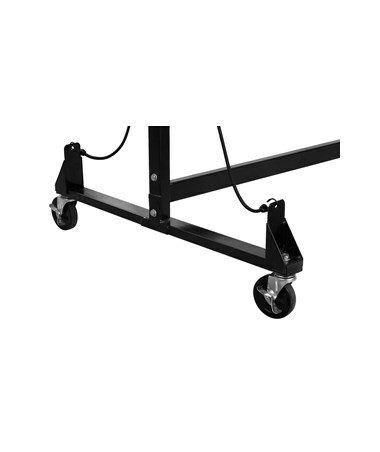 It can be easily and safely moved around with its four 4” thermoplastic rubber swivel caster wheels that are designed to float freely. 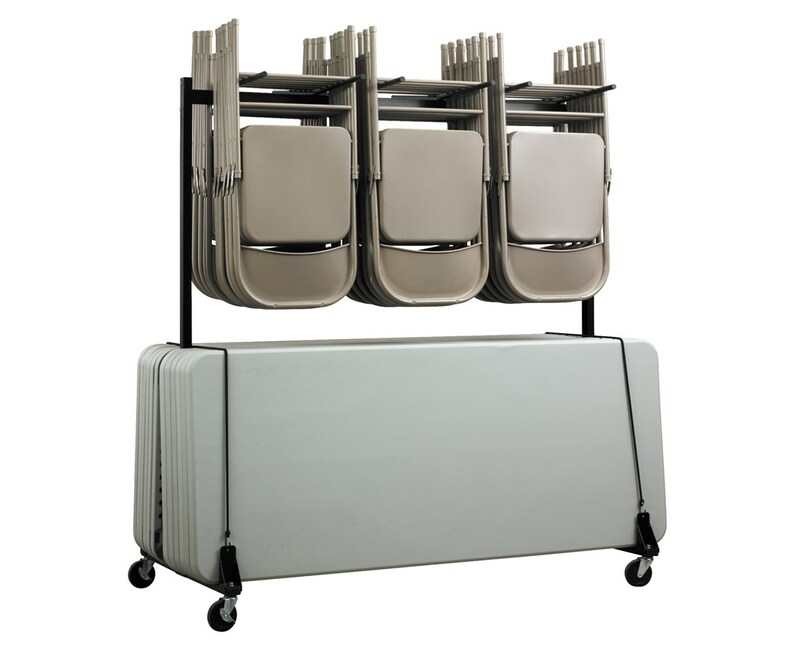 This chair-and-table carrying cart is able to hold both steel and plastic folding chairs, which is perfect for space saving. It is also quick and easy to assemble. It also features bungee cords that help hold the folded tables in place. 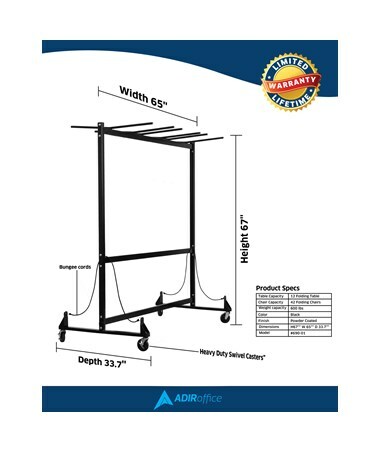 The cart is made from heavy-duty steel and is designed to easily fit through standard-sized doorways even when fully loaded. 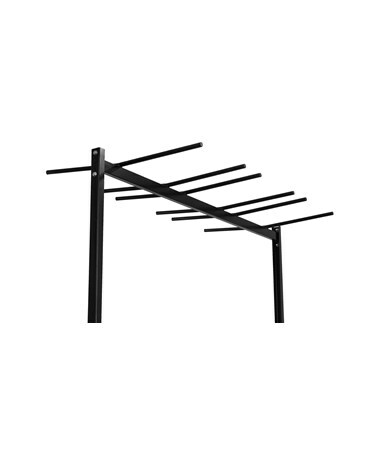 It has a nice black powder-coated finish.